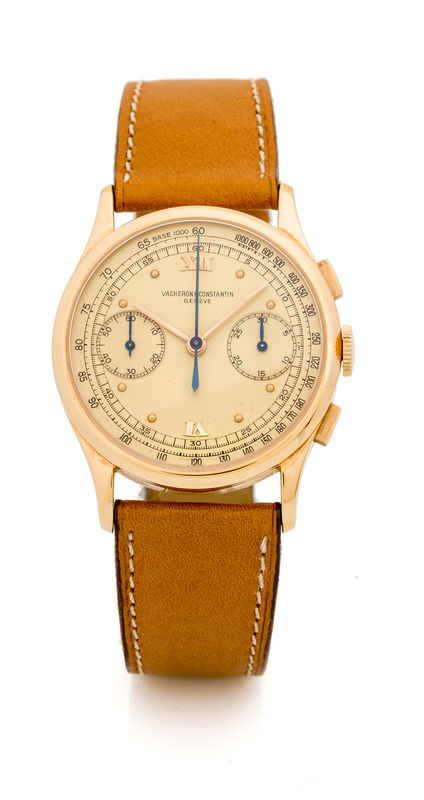 VACHERON CONSTANTIN CHRONOGRAPH, PINK GOLD A fine and very rare, 18k pink gold manual chronograph wristwatch. Accessories Vacheron Constantin after sales receipt. 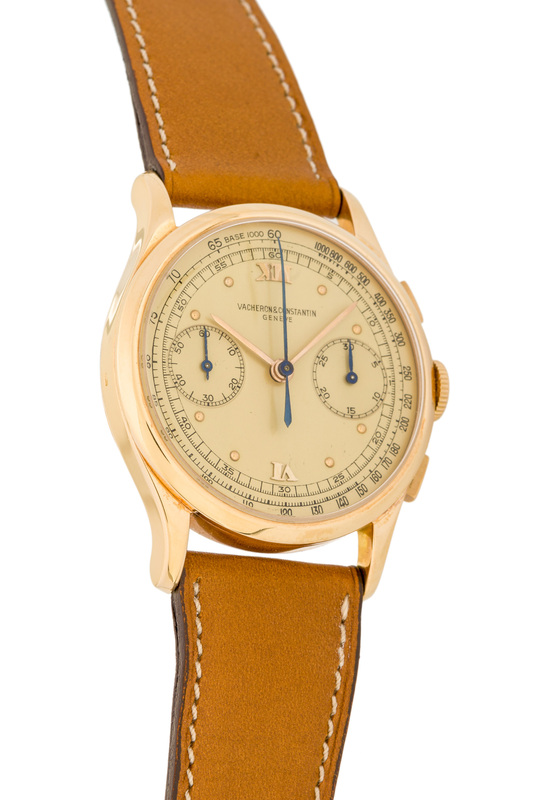 As with most chronographs made in the 1940's from prestigious manufacturers, a huge majority were made in yellow gold due to popular demands. Examples in other materials were made in much smaller numbers, such as this beautiful pink gold example. Its appeal is further enhanced by its salmon color dial and its overall state of conservation.